looks so beautiful covered in white. 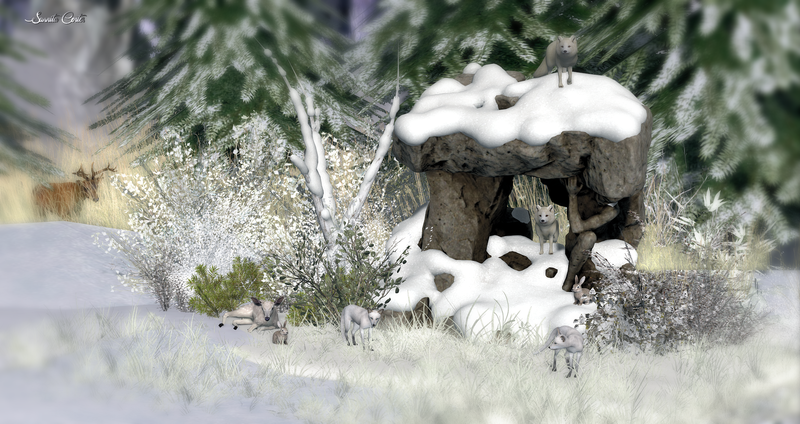 Look at this amazing winter scene by TM Creation, exclusive for The Christmas Expo until December 9th. 100% of sale goes to the Relay For Life. 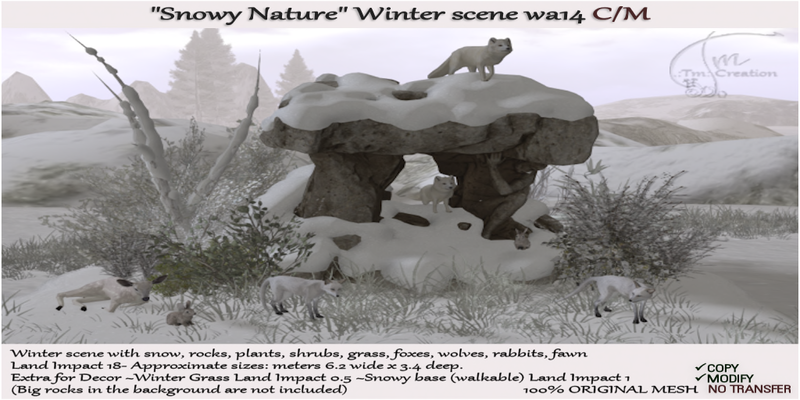 You will love this winter scene with snow, rocks, plants, shrubs, grass, foxes, wolves, rabbits and fawn. It has a Land Impact of 18 and is approximate 6.2 meters wide x 3.4 meters deep. An Extra for Decor is the included ~Winter Grass~ with a Land Impact of 0.5 ~Snowy base (walkable) with Land Impact . As always you can unlink all pieces, copy and re-arrange and adjust it to your needs.